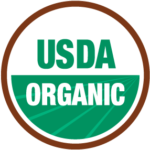 Organic farming tends to have better soil quality, who wouldn’t want that? Organic farming generates less water and soil pollution. Organic farming creates less greenhouse gas emissions and let’s not forget, it’s more energy efficient. No plants were harmed here. Organic farming gives us such a beautiful biodiversity of plants, birds and even arthropods, who can just do their pollinating thing, allowing a greater and more natural biological control of those pesky pests. Because Organic Farming increases biodiversity, we not only improve our crop efficiency and health, but we contribute to a better environment. While most conventional farming slowly kills the biodiversity and the nutrients, organic farming fuels and feeds it. Reforestation is integral to Simply Natural´s commitment to preserving the environment, and playing an important role in raising awareness. We are so giddy about practicing conservation of our environment in Panama and have set some pretty awesome goals to reforest the surrounding mountain areas of our farms. As a practice, we have a four to one rule for replacing any trees that are removed. Quality means everything in planting. So, during our projects we have selected over six thousand pine trees to plant. This species will allow the mountains to repopulate themselves quickly, a process that naturally would take decades. You know what’s so cool? Pines are sun-loving trees, with a long-life span and typically reaching ages of 100–1,000 years. Water is a scarce resource and needs to be respected and cared for. At Simply Natural Farms, our collaboration with a top-notched Israeli company called SupPlant allows us to do just that… utilize the most efficient Drip Irrigation System available and respect and care our most treasured resource. This truly magnificent design and technology slowly applies water directly to the soil, but only when necessary. This smart technology allows us to reduce water waste, because water is something that’s too good to go to waste.